Two U.S. pilots suffered minor injuries from lasers aimed at cockpits. The U.S. has filed a diplomatic complaint with China after recent incidents in Djibouti where it's believed Chinese nationals aimed lasers at the cockpits of U.S. military aircraft resulting in “minor injuries” to two U.S. pilots. Both the U.S. and China have military bases in the small African nation located on the strategic Horn of Africa. “We have formally demarched the Chinese government, and we've requested that the Chinese investigate these incidents,” she added. (Barry Loo/U.S. 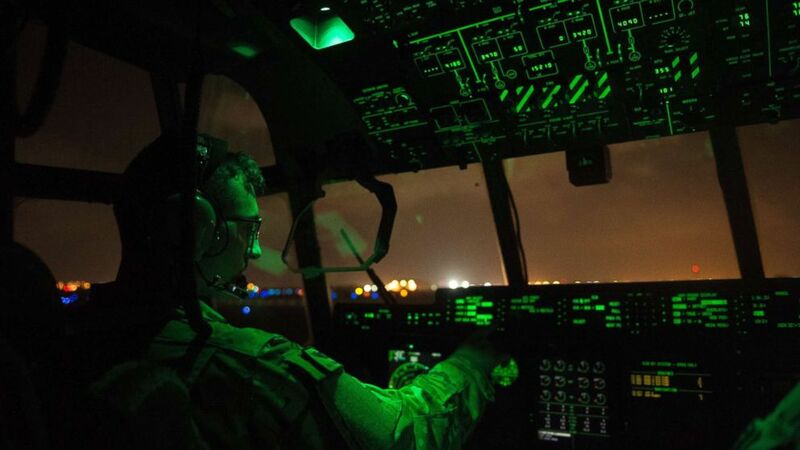 Air Force, FILE) A U.S. Air Force pilot assigned to the 75th Expeditionary Airlift Squadron, 449th Air Expeditionary Group conducts post-flight procedures on board a C-130J Super Hercules at Camp Lemonnier, Djibouti, April 5, 2016. White said the U.S. was confident that Chinese nationals were responsible for the laser incidents. Since 2002, the U.S. military has operated out of a base next to the international airport in Djibouti's capital city. But Djibouti is also home to China's first overseas military base, a naval base located in the city's port area. While U.S. officials have said there have been good contacts between the two militaries, the laser incidents are a concern. "The Djibouti government is free to work with who they want to," said White. "Our concern is the safety of our service members," she said. "And so we raised the issue with China, and we expect China to investigate it thoroughly." White said there had been fewer than 10 incidents over an unspecified amount of time. But she said that their increasing frequency over the last few weeks and the recent injuries led the U.S. to file the formal diplomatic complaint with China and request an investigation. "I'm going to have you ask the Chinese about their motivations," said White. "But it's serious, and we take it seriously, and it's why we demarched them. that was a good question to be posed to China."